Edmonton rockers the Old Wives will release their latest full-length record Three next month, and ahead of its arrival, Exclaim! is giving you an exclusive look at the brand new video for "Lying Through My Drink." 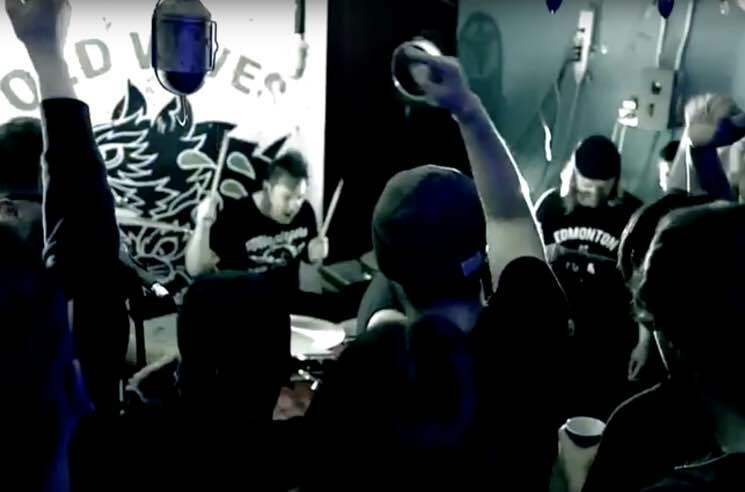 The clip captures the pop-punk unit plugging in and jamming it out together in a rehearsal space, before taking their live performance to a rowdy crowd. Naturally, it's best watched and listened to at a high volume. Three is due out on May 5 via Little Rocket Records, and you can see that band's upcoming tour dates below. Scroll past the upcoming shows to check out the video for "Lying Through My Drink."